This entry was posted on July 23, 2014 by admin. SAN DIEGO - A 3-year-old Florida girl battling brain cancer is now in San Diego hoping to heal by using a treatment found in a form of marijuana. 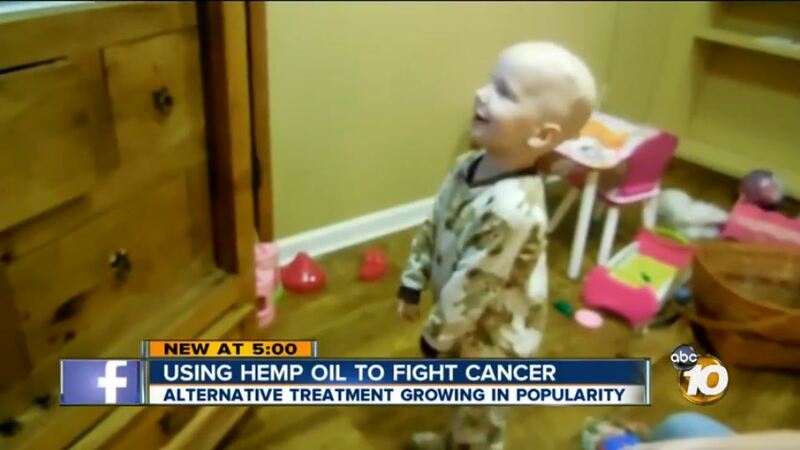 Dahlia Barnhart, from Tampa, Fla., is a poster child for an herbal supplement known as CBD. Her mother, Moriah, is sold on it. "Her quality of life was deeply diminished and the CBD seems to me, almost overnight, have given that back to her," said Moriah Barnhart. She told 10News that Dahlia had gone through months of treatment and was still suffering, saying her daughter had "issues with pain and brain damage from the surgeries and chemotherapy both." 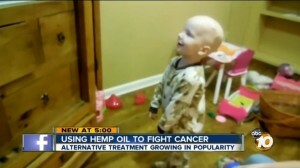 There's a growing trend made popular by a CNN special "Weed," which examined alternative treatments. Cancer, epilepsy and other debilitating diseases were examined. According to the special, a child who had 300 seizures a week was down to just one every seven days. Barnhart tried CBD for her daughter and was immediately impressed. "The very first night she ever took it, she slept through the night for the first time in her entire life," Barnhart said. CBD is produced in San Diego at HempMedsPX. The company served 2,000 customers last year. It's along the lines of medical marijuana, but without the high so there's no stigma nor legal issues. HempMedsPX Vice President Charles Vest said, "It has the same compound, CBD in it, but does not have the same psychoactive effect of THC, which is found in medical marijuana." A typical daily dose would be half-milliliter, taken orally. Josh Hartsel, senior research scientist, explained, "You generally put it under your tongue and let it absorb that way." Vest added, "It's definitely not a prescription drug ... it's a simple compound that's found in a simple plant, much like vitamin C in oranges, CBD is found in commercial hemp."